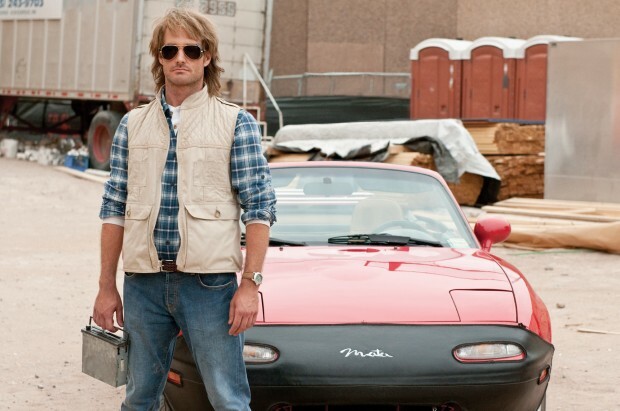 I’ve been praising MacGruber since I saw it in a nearly empty theater some two years ago — nobody believed (or understood) me when I raved about its implementation of “Take Me Home Tonight” — and people only started to catch on when it hit home video a few months later. I don’t know how big “the cult” of this film actually is, or if such a cult even exists, but it’s undoubtable that a whole new life came about quickly and forcefully. Fitting that, on the same day we received a few teasers for Anchorman 2, director Jorma Taccone would speak with ScreenCrush and, semi-unofficially, announce that the hopes for a second MacGruber already exist. He, Will Forte, and John Solomon at least have the ambition to script the follow-up, which they’ve formulated in terms of an idea and title; both are mostly hush-hush, but we do know they’d like to pay homage to Die Hard and set the proceedings during Christmas. Someone more clever than myself can concoct a joke pertaining to the character and that holiday. It’s purely speculative and hope-based — I can’t say MacGruber has yet to really make a profit, even two years later — but it’s an idea I’m willing to entertain at the moment. Ultimately, if Taccone and Forte can shake out their busy schedules, if Kristen Wiig can reprise the role of Vicki St. Elmo, and if there’s really something there, let’s make it happen. Is a second MacGruber something you’ve felt any desire to see?